Emily Gleeson is currently working as a research meteorologist with the Irish Meteorological Service, Met Éireann. In particular, she is working on the development of physical processes in the HARMONIE-AROME numerical weather prediction model. 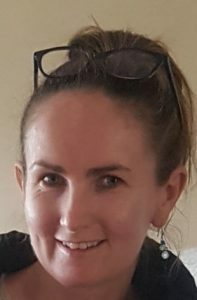 She has also worked on a high resolution regional reanalysis for Ireland, climate modelling using the EC-Earth model and as an operational weather forecaster. She has a Ph.D. in physics and an M.Sc. in meteorology.